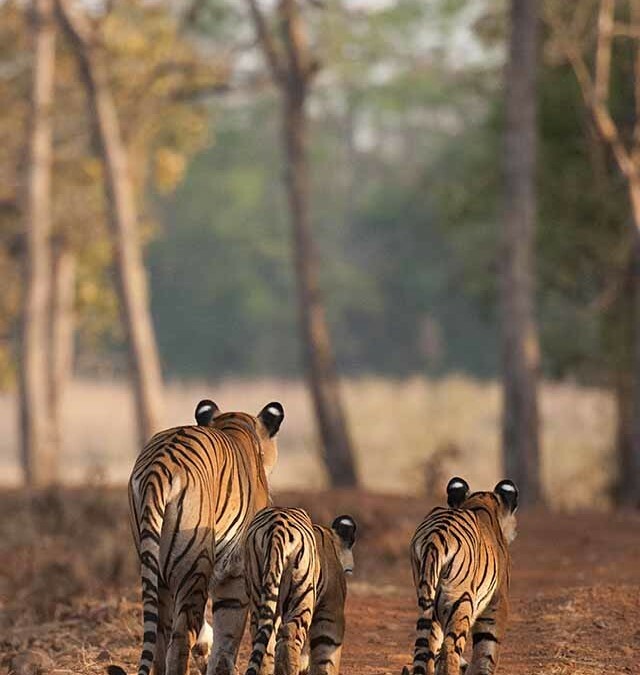 During one of our safaris at the Tadoba Nationa Park, the noise level was slowly getting to us, thanks to the restless tourists in the many jeeps wanting to get a closer look at Choti Tara (Tigress) and her cubs. 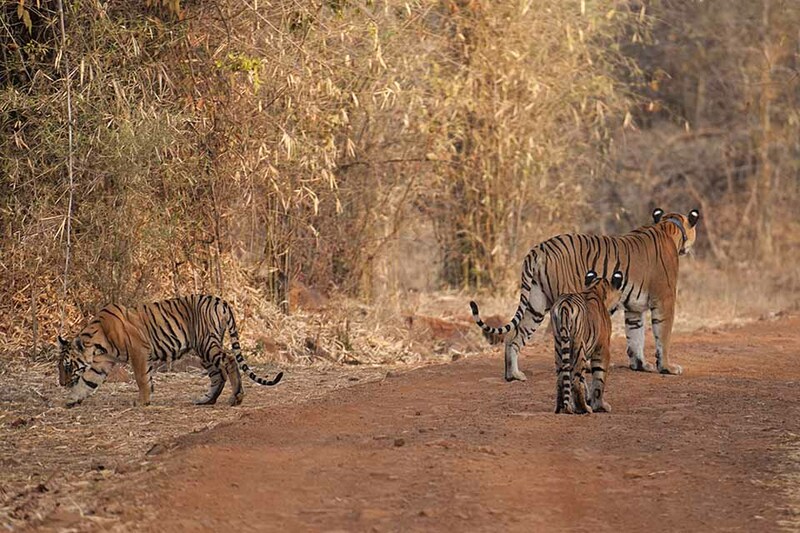 Given that we were the first jeep, we kept the right distance from the resting Tigers keeping the other jeeps at bay. 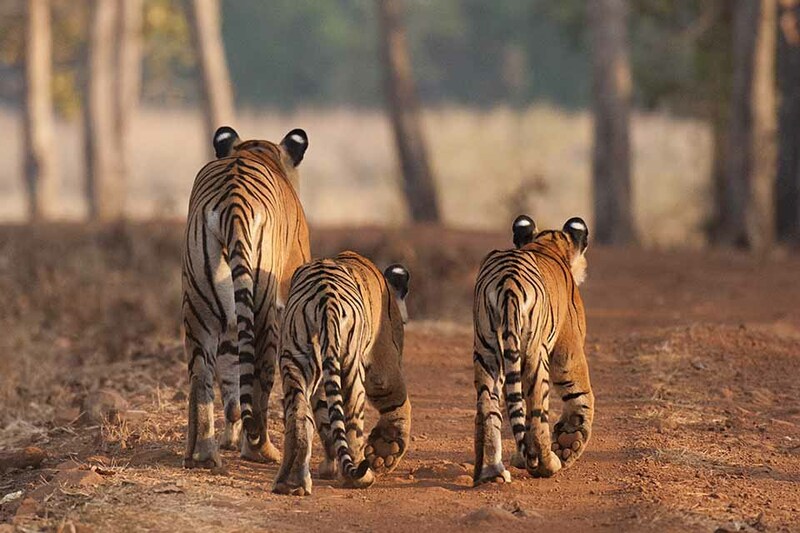 The Tigers soon decided it was time to move on and they got up and started walking along the road. 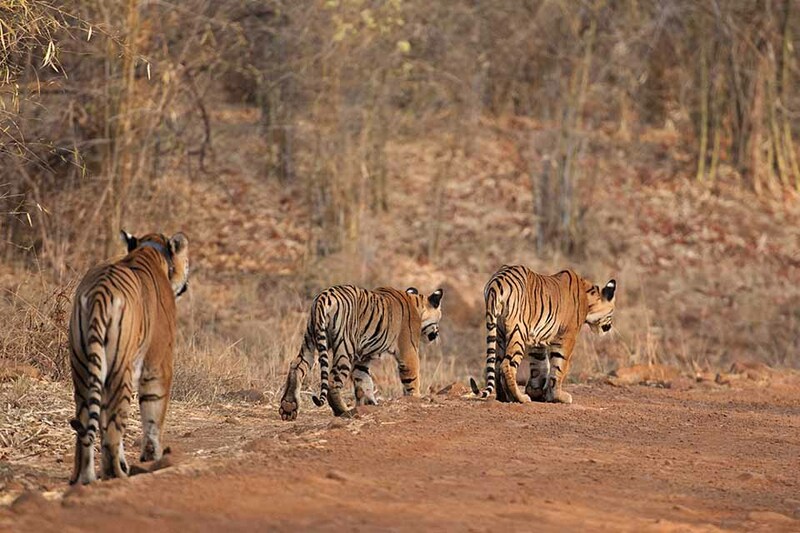 Unlike the previous sighting of Matkasur (Tiger), where we were behind many vehicles, this time we were the first jeep, and we followed the Tigers maintaining adequate distance (see picture below) so that we could observe their natural behaviour. 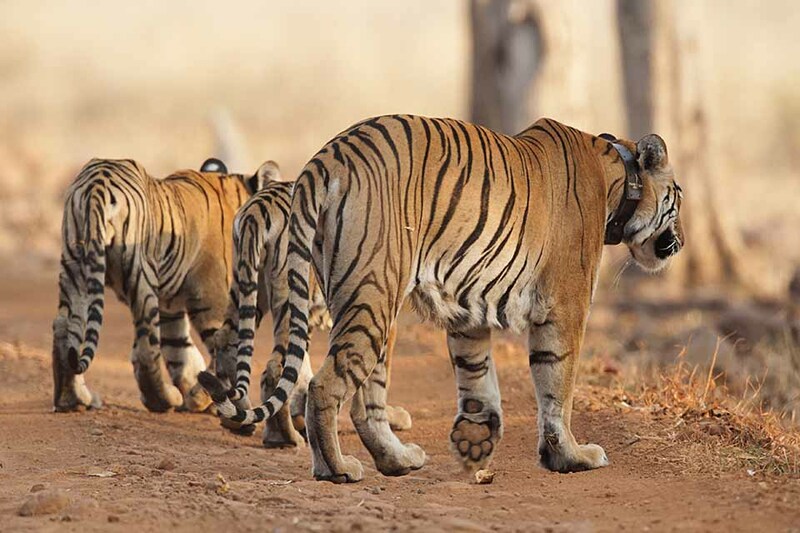 The comfortable distance ensured that the cubs could go about their business without fear of being disturbed by the jeeps. At one point one of the cubs even turned back to give us a casual glance. Sometime during the sighting, I gave the the 70mm-200mm f2.8 to Matt, to continue shooting while I zoomed in with the 600mm setup to get this picture (above). 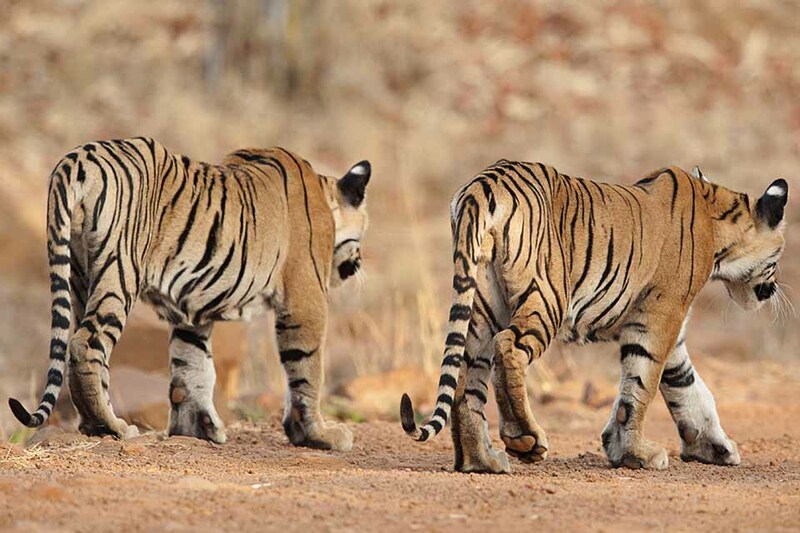 But the Tigers were too close for us to be able to predict their movement and I switched back to the 70mm-200mm f2.8 setup to get this landscape composition (below). I turned the camera over to take a portrait composition, which we used for the feature image (first image of this post). 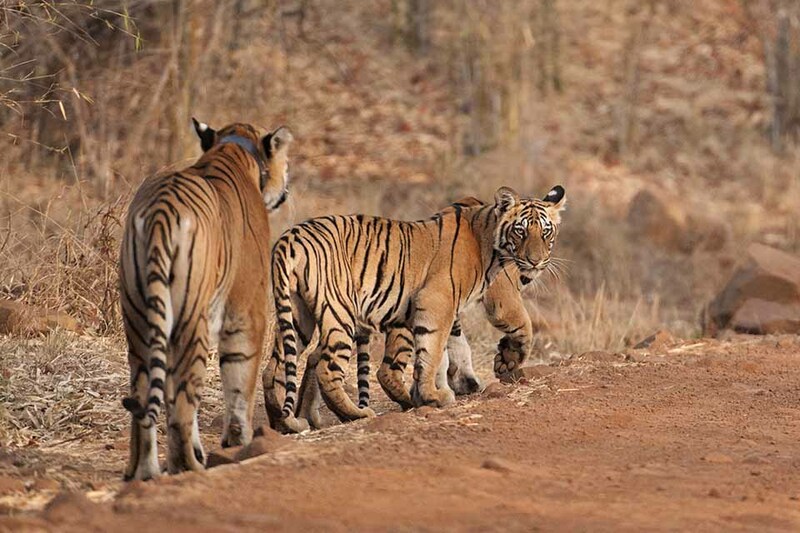 We took this final image before the Tigress shepherded the cubs away from the road into the tall grass. That turned out to be a blessing in disguise. More of it in the next post.